Over the years and across the different distributions this team was involved in, many users have consistently asked for a release with no X. Finaly, here it is. Images and a torrent link are to be found on our mirrors. Enjoy. This entry was posted in Blog and tagged noX on 2012/10/15 by Ferdinand Thommes. In our Core-Meeting last night we mainly had 3 topics. As Wheezy will not be releasaed in 2012 [RC bug count: 529 as of today], we do not expect any problems from that direction. With noX and Gnome there will be two new members in our flavour-family. My guess is that they will complete our flavour-list for now. To bring that endevour to a good end, I suggested we pay someone ~ €300 to finish the project and technicaly support it for a year. After a heated discussion a vote on this denied that suggestion. The alternative that was being held against it is, to start afresh with SMF instead of Joomla. So lets see how that goes. The 3rd topic was about getting our hands on a 2nd server. We have a powerful buildserver that is used for building testing and release images and our kernels. The rest of our stuff (forum, chili dev-plattform, git) was on productive private servers that were not easily exessible to the team. We need to put these tasks on a server that we control. So we decided to vote, if we should spend ~ €500 p.a. for such a machine. Before the vote was finished, a Core-Team member sponsored such a root-server for us. Well, many thanks for that, it is highly appreciated! Because it was getting late we moved the remaining topics on the list to the next meeting on Oct. 7. 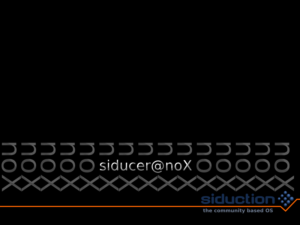 This entry was posted in Blog and tagged noX on 2012/09/24 by Ferdinand Thommes.